Food… Self-catering the easy way! Meal Service: Jane and Hanna at Coombe Kitchen offer an extensive menu of delicious meals and tea-time treats – delivered to Well Cottage for you to enjoy at your leisure. Couch’s – Polperro, The View – Whitsand Bay, The Old Sail Loft – Looe, Sam’s Fowey and Sam’s on the Beach Polkerris. Local Food: We like to support our community shop in Duloe which stocks – amongst other things – organic produce grown at Skyegrove, on land adjacent to Well Cottage. Skyegrove offer scything courses – please take a look, it’s fascinating. Farmshops and stockists of local produce: Purely Cornish in Looe, Trevallick’s Farm Shop in Pensilva, Philip Warren traditional butchers in Liskeard, Pengelly’s Fish in Looe. Celebrity Chefs!! You’ve seen them on the TV, now eat at their restaurants: Nathan Outlaw in Rock and Post Isaac, Jamie Oliver’s 15 at Watergate Bay, Rick Stein’s Seafood Restaurant in Padstow and Paul Ainsworth’s No. 6, also in Padstow. 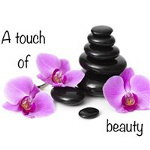 A Relaxing Massage: Enjoy a hot stone, Indian Head or Swedish massage in the comfort of Well Cottage with Jenna, a qualified mobile massage and beauty therapist. Celebrating? Waiting in your cottage when you arrive, or delivered during your stay, we offer a beautifully boxed champagne & chocolate gift sets or gorgeous hand-tied flower bouquets – a lovely surprise for a special occasion.